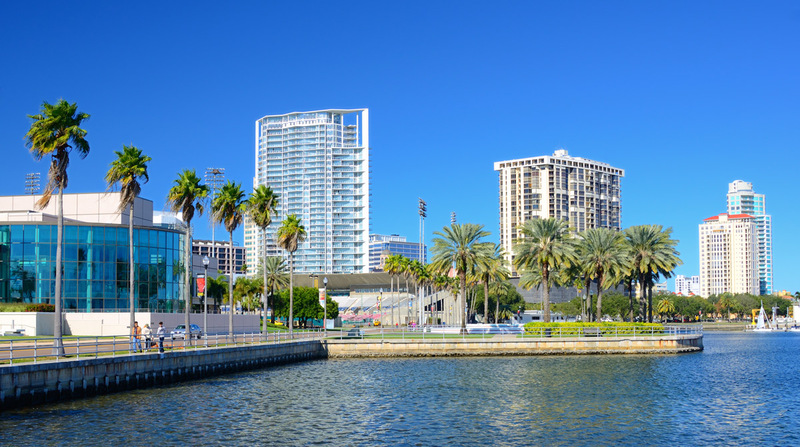 “St Pete Rising: As more people rediscovered the St Pete lifestyle, downtown condominium development exploded around 2010. More recently apartment complexes have sprung up downtown and beyond. Large single-family homes are replacing many smaller ones, and vacant neighborhood lots are filling fast. Though the St Pete real estate market is hot, opportunities for commercial development remain. Ron Wheeler, CEO of The Sembler Company, a major developer, and manager of shopping centers throughout the Southeast, says St. Petersburg’s retail market is also strong. On the horizon, Wheeler says “the biggest real estate deal” will be the Tropicana Field property, which holds the possibilioty for a large corporate headquarters, housing, retail, and more!